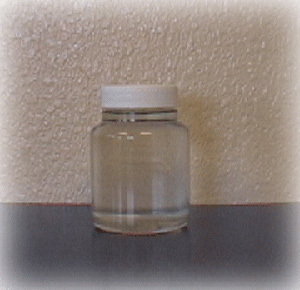 Sample Bottles - Spectro-Scan, Inc.
3 oz. sample bottles have been designed to withstand 27 in. Hg, or vacuum pressure, for a 24 hour period making them the most durable product available. They are manufactured from a material specifically designed to withstand high heat which accommodates the need to sample lubricants at operating temperatures. Bottles caps come with a PE foam-lined cap to help provide a leak-proof kit. High quality standards, cleanliness, and durability makes these bottles the superior choice in the oil analysis industry. 16 oz. sample bottles have been designed to withstand 27 in. Hg, or vacuum pressure, for a 24 hour period making them the most durable product available. They are manufactured from a material specifically designed to withstand high heat which accommodates the need to sample lubricants at operating temperatures. Bottles caps come with a PE foam-lined cap to help provide a leak-proof kit. Locking caps are also available upon request. 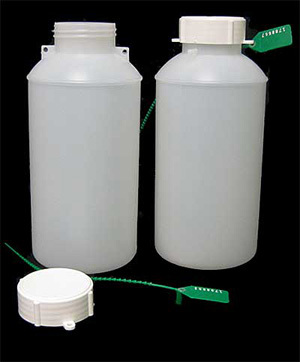 Heavy duty fuel sample bottles made of high density polyethylene (HDPE), 1 Liter and 750ml. Security seal on fuel sample bottles provide unique identification of representative sample. 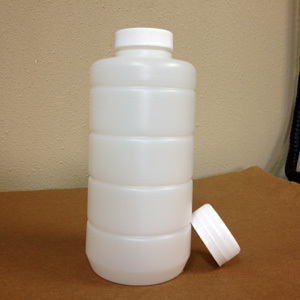 Tamper evident sample container ensures bunkering integrity. Fuel sample bottles are MARPOL Annex VI compliant. Kit includes marine fuel label.